Thursday’s deal on a 2.4% deficit for the next three years came after warnings from the European Commission — the EU’s executive arm — to hold the reins on spending. It vastly exceeds the 0.8% deficit foreseen by the previous, centre-left government, and comes dangerously close to the EU rule saying that government deficits cannot exceed 3.0% of gross domestic product (GDP). Crucially, it will inflate the country’s already mammoth debt burden — currently 131% of GDP, the biggest in the eurozone after Greece and way above the 60% EU ceiling. The Milan stock exchange plunged Friday, dropping by around 4% at one point, as jittery investors dumped shares. Trading in Banco BPM bank stocks was suspended after they tumbled nearly 11%. Trading was also briefly paused on the equities of BPER Banca, UBI Banca, UniCredit and Intesa Sanpaolo. Meanwhile the yield on Italian government bonds shot up above the symbolic 3.0% threshold. “It is a budget which appears to be beyond the limits of our shared rules,” said Pierre Moscovici, who runs the European Commission’s economic and finance portfolio. “If you allow public debt to increase you create a situation that becomes unstable as soon as the economic context worsens,” he added. Italy does indeed face a lacklustre growth forecast: just 1.0% in 2019 according to the Bank of Italy and the International Monetary Fund (IMF), and 1.1% according to the European Commission. The budget decision follows weeks of suspense over whether Western Europe’s first anti-establishment leadership would defy Brussels and uphold its costly electoral promises to increase public spending after years of austerity. Italy’s deputy prime minister Luigi Di Maio, who welcomed the budget deficit deal, said his government was not seeking a clash. “The dialogue begins now with the EU and with major private investors, and we are not seeking a conflict,” he told journalists. “We want to pay back the debt and I can assure you the debt will go down,” Di Maio said, adding that he expected the economy to grow as government spending rises. 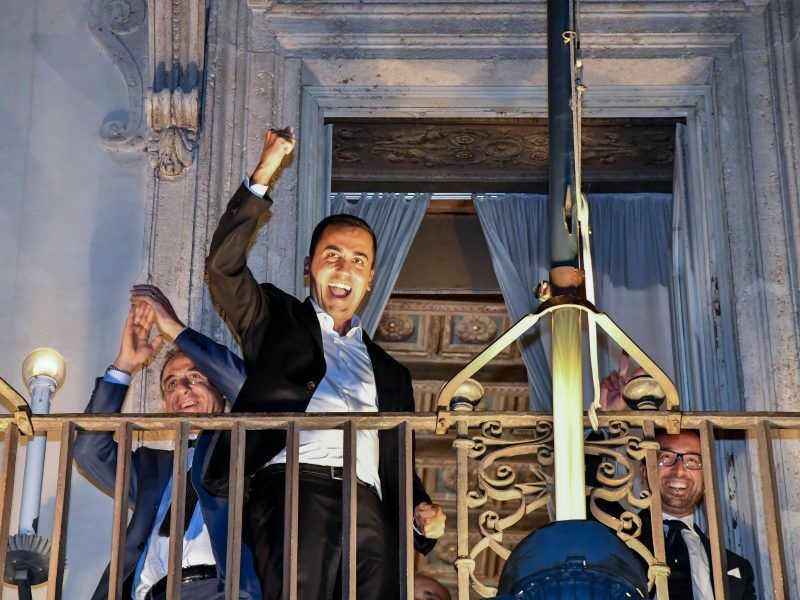 The deal was a last minute victory for Di Maio and Matteo Salvini, also deputy prime minister, over the country’s more cautious finance minister, Giovanni Tria. Analysts said that by keeping the deficit below the EU’s 3.0% limit, Italy may have eschewed triggering an all-out eurozone crisis — for now. “As long as Italy does not breach the 3.0% limit, the EU will likely admonish Italy without imposing a fine that could trigger an anti-European backlash in Italy,” said Holger Schmieding, chief economist at Berenberg Bank. “An Italian debt crisis remains an accident waiting to happen,” he added. Di Maio had previously threatened to vote against the budget unless funds were found for projects promised in March elections, including the movement’s flagship pledge for a basic monthly income of €780 for the unemployed and those on low wages. There were €10 billion earmarked for the income pledge in the budget, which “for the first time in the history of this country will eradicate poverty”, he said. Salvini said the budget would lower taxes by 15% for over one million Italian workers and free up around 400,000 jobs for the young by enabling people to retire earlier. All would be paid for without imposing a VAT hike on long-suffering Italians, he said. Italy’s draft budget must be submitted to the European Commission by 15 October, and “a protracted period of negotiation between Italy and the Commission seems likely,” said Jack Allen, senior economist at Capital Economics. The big spending pledge unnerved investors as financial markets trading got under way, and drove up the spread between Italian bond yields and those of Germany, the low-risk benchmark in the eurozone. The rate of return on 10-year Italian government bonds shot to as high as 3.26% from 2.888% at the end of trading Thursday. The higher the yield, the more expensive it is for the state to borrow money, reducing its financial margins for manoeuvre. The deal also hit the euro, which slipped to 1.1580 from 1.1641 against the dollar. 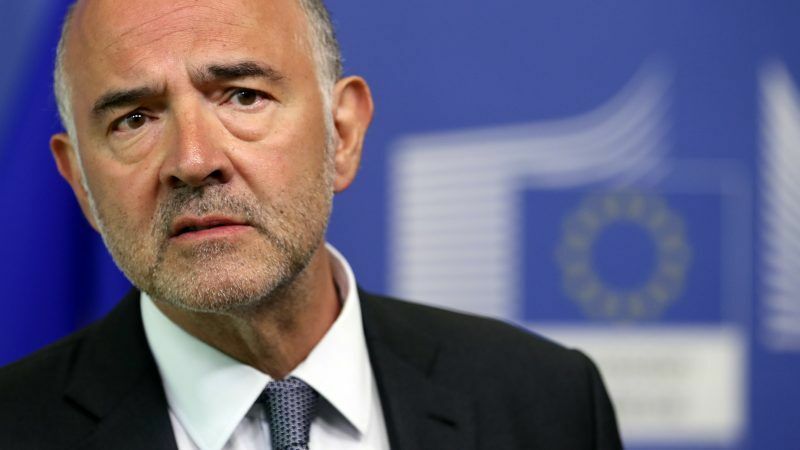 Moscovici needs to talk to Jeremy Corbyn, UK “Prime Minister in waiting” – hopefully until hell freezes over. He and his man McDonnell want to turn the UK into Soviet Britain so, as the GDP slumps, public expenditure deficit will go stratospheric. And we haven’t even got onto the spending issues yet….! !